The Innokin Scion 2 RTA Deck is a great purchase for anyone looking to build their own coils to use with the Scion 2 Tank. 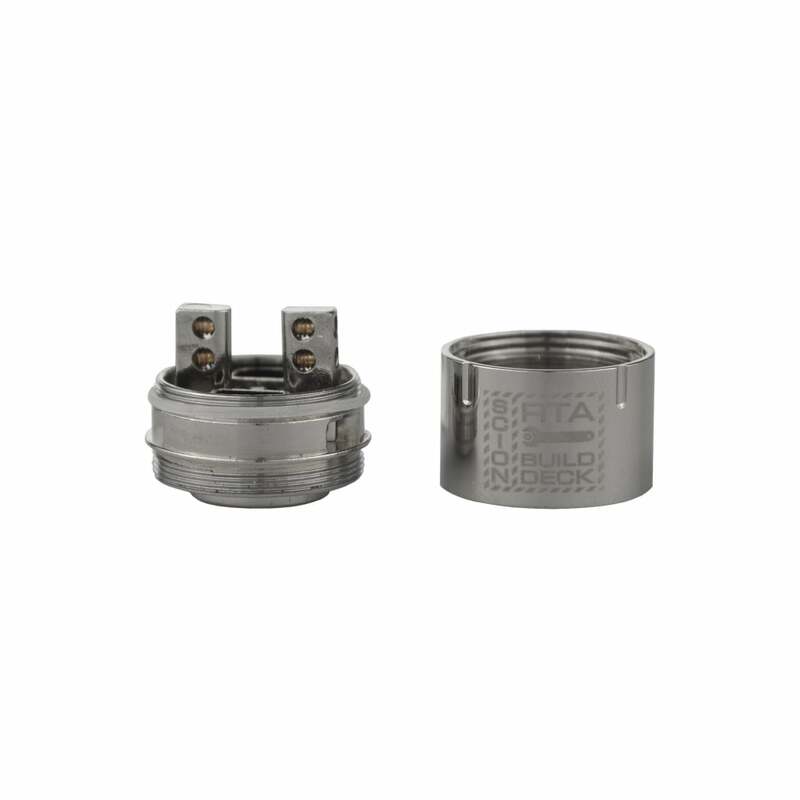 Ideal for straightforward dual coil builds, this RTA deck features a screw-on barrel is designed to cut down on leakage. Rebuildable atomizers are for advanced vapers only. I'm new to building but this was pretty easy to work on. But the flavour!!! OMG I love it!!! I'd read the reviews but thought it just hype. But it's not. The deck has bought out different tones of flavours in my juices and it just tastes crisper!!! Totally love it! This is my first build deck and I’m super impressed with it. Easy to build and awesome flavour with clouds of vape and all at a good price.